Who says accountants aren’t athletic? The 9 athletes on this list will prove them wrong! Before their athletic careers, each of these 9 famous athletes studied accounting and some even went on to work as accountants. It’s hard to believe that 40 year old baseball player, Craig Counsell, was an accounting major at Notre Dame. In 2001 he was the NLCS MVP but prior to that he was an accounting major with a 3.0 GPA at Notre Dame. Ray Wersching, a graduate of University of California Berkeley, was signed to the San Diego Chargers before eventually joining the San Francisco 49ers for the duration of his career. When he retired, Wersching held 49ers records for points, field goals and extra points. While playing football, he worked as a certified public accountant in the off-season. D’Lo Brown, an ex-professional wrestler and current TNA Wrestling road agent, also happens to be a CPA. Interestingly, the WWF muscleman was working as an accountant before he began his career as Ace the Animal, during which he simultaneously held the European and Intercontinental Championship belts. One of the most surprising athletes on this list is MMA/UFC fighter Chuck Liddell. 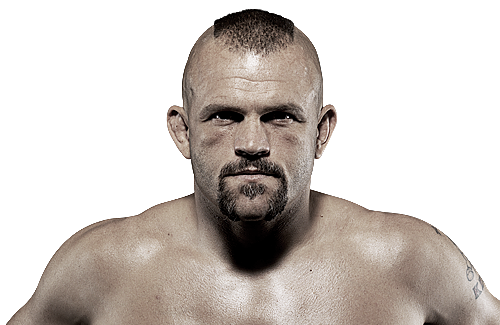 Liddell is a former UFC Light-Heavyweight Champion with such impressive fighting skills that he’s credited with helping make MMA a mainstream sport. Liddell graduated from California Polytechnic University with a BA in Business and Accounting in 1995. The former fighting champion certainly challenges any notion that accountants can’t be men (or women) of action. 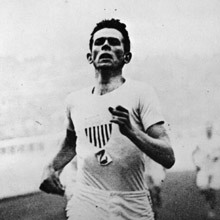 Another olympic athlete, Edwin “Teddy” Flack, was trained as an accountant with the firm Price, Waterhouse & Co (now PricewaterhouseCoopers). There he joined the London Athletic Club, eventually becoming Australia’s first Olympian, being its only representative in 1896, and the first Olympic champion in the 800 metres and the 1500 metres running events. Alex Bilodeau, the winner of a gold medal in the men’s moguls at the 2010 Winter Olympics, defended his gold in 2014, becoming the first Canadian male to do so. Bilodeau is currently an accounting student at the John Molson School of Business at Concordia University. He has since retired from freestyle skiing professionally and plans to become an accountant once he’s done school. Juan Manuel Márquez currently holds the WBO light-welterweight champ and is the first Mexican-born boxer to become a world champion in four divisions. He also happens to have an accounting degree. Filipo Inzaghi is one of the most prolific goalscorers of all time in European club competitions. Since retiring he is now the head coach for Milan, however before his football career took off, he got his accounting degree at the insistence of his parents. Pádraig P. Harrington, an Irish professional golfer who plays on the European Tour and the PGA Tour, has won three major championships: The Open Championship in 2007 and 2008 and the PGA Championship, also in 2008. Before his success in the PGA, he passed his final accounting exams in 1994 and gained admittance into the ACCA. 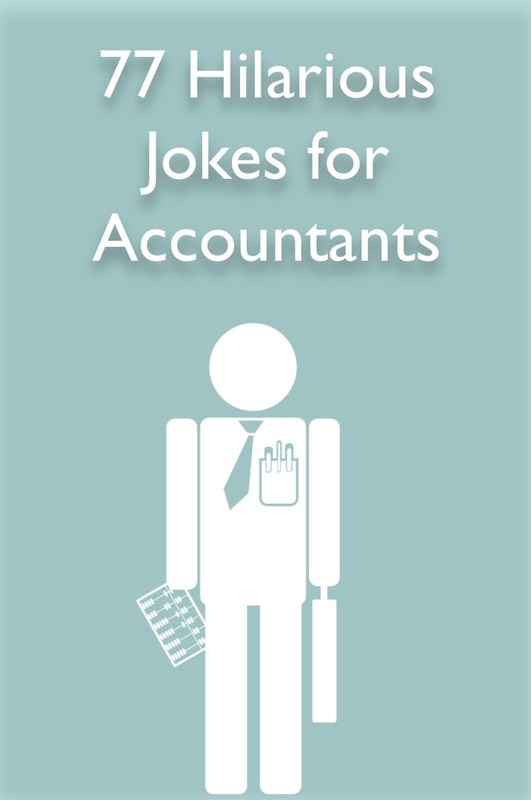 As summer winds down and everyone starts bracing themselves for another tax season, we’ve got a way to keep things fun in your firm… prepare yourself for the top 77 best accounting jokes. We put together the slide show with the jokes, because it’s more fun to read them that way, but you can also check them out below. Did you hear about the blonde Management Accountant? She went to see her fitness trainer to talk about stretch targets. What’s an extroverted accountant? One who looks at your shoes while he’s talking to you instead of his own. What is the definition of “accountant”? Someone who solves a problem you didn’t know you had in a way you don’t understand. How do you know when an accountant is on holiday? He doesn’t wear a tie and comes in after 8am! Why do accountants make good lovers? They’re great with figures. What is the definition of a good tax accountant? Someone who has a loophole named after him. Why did the cannibal accountant get disciplined? For buttering up her clients. Why don’t accountants read novels? Because the only numbers in them are page numbers. What’s an accountant’s favourite book? 50 Shades of Grey. What music is played at a financial accountant’s funeral? The Last Post. Did you hear about the cannibal CPA? She charges an arm and a leg. What do you call an accountant who says he’s posted a one-sided journal? A liar!! Under Sarbox rules it just can’t happen! Can it??!! How do you drive an accountant completely insane? Tie him to a chair, stand in front of him and fold a road map the wrong way. Why don’t old accountants die? They just lose their balance! What’s an actuary? An accountant without the sense of humour. Did you hear about the deviant Forensic Accountant? He got his client’s charges reduced from gross indecency to net indecency. What do accountants do for fun? Add the telephone book! What’s grey on the inside and red on the outside? An accountant turned inside out. Budget: An orderly system for living beyond your means. What did the accountant say when he got a blank check? My deductions have at last caught up with the salary. Did you hear about the shy and retiring accountant? The accountant is $1 million shy and hence is retiring. Your firm is more than a workplace. It’s where you dedicate your time and resources to further not just your career, but also those of your colleagues. Together, you form a team that builds a name and reputation for the firm. The strength of your team and firm depends on attracting the right talent. How can you ensure your firm does this? Growth – Top talent are searching the best career growth opportunities. When recruiting seasoned talent, outline how your firm will provide training and development to keep their career growth moving upward. Work Environment - Now more and more, people are looking for a better work/life balance. You could promote this at your firm by hosting team bonding and fun activities for the office. For more specific ideas to promote a better work environment check out the book: Accounting Firm Owners: The 7 Secrets You Know To Increase Profits in 2014. Money - Seasoned candidates are often looking for the next big challenge, but they’re still going to compare your salary offering to that of other firms. Make sure your employment package is competitive when it comes to money and benefits. Location - Seasoned candidates are interested in better schools, transportation, and housing when compared to their current location. Highlight these amenities near your firm’s location to attract top-notch talent. Attracting new blood isn’t simply a matter of snatching up the best and the brightest entering the industry. It’s also about attracting candidates that bring real world knowhow capable of propelling the firm forward. As new professionals enter the accounting industry, they bring with them insights about the best technologies to perform their jobs and better serve your clients. Address this when searching for new talent. Make it clear that you want to see a proactive candidate, capable of propelling the firm forward with new technologies. Status – Is your firm well known? If it’s not, attracting new blood will be a challenge. Accounting graduates want to work for firms that can show they’re established, respected, and visible to at least the local area. Networking - Although graduates are somewhat “green behind the ears,” they know opportunity when they see it. If your firm works with important people and organizations of influence, new talent will be more likely to seek out your firm. LinkedIn is a great resource to highlight connections. Culture – Workplace culture is important to fresh blood because they prefer to combine work with play. 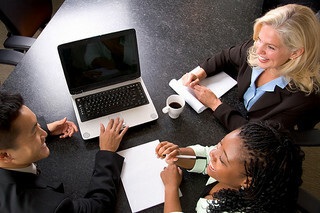 Your firm can attract them by showcasing its social side through tasteful team photos and videos. Location - Fresh talent is often looking for a great nightlife, young demographic, good weather, and diverse culture. Highlight how your firm’s location delivers this to attract them. Your firm no doubt has many assets to offer seasoned and new talent. Be sure to showcase these assets through social profiles and web copy. By spotlighting assets openly, you’ll encourage a steady stream of all the right talent. Accounting Discounts – Do or Don’t? We all know that customers love a deal. In fact, some people live to coupon. Discount hunters are almost always on the prowl. You want more business. You want to attract new customers. How do you do it? It’s true. Discounts can quickly generate a sizeable sales spike. While seeing your sales numbers rise can be euphoric, discounting may not be the way to go. It’s true that business after business runs sale after sale, but discounting can quickly destroy your business. For example, JCPenny ran so many sales and discounts that less than 1% of their sales came from full priced items. As a result, the listed price of their products meant nothing. In an effort to change this, JCPenny tried selling a $14 shirt that normally sold on discount for $6 at a new list price of $7. Sales tanked when JCPenny tried this “low price all the time” strategy because customers no longer saw a sale or discounted price. JCPenny customers stopped buying because they were waiting for a discount to come along. Discounts are a terrible idea if you want to see long term business growth. Once you start offering discounts and sale prices, your customers will be trained to expect it. When you don’t run a discount, your sales will tank—just like JCPenny. Discounting can erode the value of your brand to your audience. Once it comes at a discount, they no longer want to pay full price. Once a customer thinks they can find a discounted price for your product or service, they will actually delay a purchase to search for it. The best strategy is to never use a discount or coupon to begin with! If discounting is detrimental to your business in the long term, what can you do to spike sales? The answer is simple: add value. You can add value to generate new sales growth by promoting the full price of your product or service plus an addition at no extra cost. For example, if you want to generate more business during tax season, you might offer your services at full price plus a free eBook stuffed with tips that can help increase the client’s tax return next year. By adding value versus offering a discount, new clients will pay full price and get an incentive to buy now. Putting a time limit on the added value is important so that potential customers won’t want to miss out on the additional value. You can promote healthy long term business growth by avoiding the pitfall of discounting and running promotional sales or coupons. By adding value, you’ll train your customers to expect more bang for their buck through incentives, not discounted prices. As a result, they’ll return and purchase even when you aren’t running a promotional offer. To see how you can add more value and charge higher prices, check out our ebook, Accounting Firm Owners: The 7 Secrets You Must Know To Increase Profits in 2014. If you’re starting a new firm or simply trying to build you’re firm’s online presence, you’ve likely heard one word a million times: credibility. Credibility is about experience. What can you do if you don’t have much experience or feel like the experience you have isn’t enough? Now that you know the basics, let’s take a hard look at how to build your credibility and authority. It’s worth building because these two attributes, once recognized by your audience, will earn you respect and sales. But you’re going to have to prove your credibility before you earn it from your audience. We’re going to discuss three proven ways that you can build your credibility. The first revolves around honesty and doing the right thing. 1. Argue against yourself. You do this by letting people know up front who won’t benefit from your product or service. Does this sound counterproductive? Well, it’s not. By openly letting the audience know who the product or service isn’t for, you show that you’re all about doing the right thing. Don’t try to sell yourself as the “perfect fit for anyone.” This isn’t realistic. There’s no such thing as a product or a service that is all things to all people, and selling yourself this way will harm your credibility. Take the time to know who you’re business isn’t for and talk about it openly. People will instantly see you as credible because you’re honest and open. It’ll also make it much easier to get people that are the right fit to hire you. 2. Use precise numbers. People believe precise facts. It’s easy to be lazy and round statistics or numbers up or down, but it also hurts your credibility. For example, let’s say I specialize in tax return services. If I told you the customers who I filed taxes for received a return that was 5 percent higher than the average tax filer, and I then said I filed returns that were 5.3 percent higher than the average filer, which would you find more credible? Precise numbers are automatically considered more credible by your audience. Use them whenever possible on your website and other marketing content. 3. Provide proof to back up your claims. It’s easy to spout opinions because all we have to do is state them and move on. Building credibility and authority involves backing up your claims with proof. People can get opinions anywhere. They come to you for proven facts. Whether you’re new to the industry or packing years of experience, you can get more info on building credibility and getting better clients by reading our ebook, Accounting Firm Owners: The 7 Secrets You Must Know To Increase Profits in 2014. Sound familiar? When someone tries to haggle down your rates, it’s likely you’ll hear them say something similar. Rewarding loyal clientele with discounts is a good business practice, but the client who receives this type of treatment is a proven asset. They’ve likely returned numerous times and brought new business with them. Haggling is part of business. You’re going to run across it from time to time. Remember: you don’t have to lower your rate, ever. The trick to dealing with and deterring hagglers is all about confidence and knowing how to talk with the haggler. The first thing to remember is to avoid getting offended. Allowing yourself to instantly take on a negative attitude—not matter how justified—will hinder your ability to handle the matter professionally. You can’t work with everyone. If you’re intent on delivering high quality, it isn’t possible for you to take every job that comes your way. Don’t expect to work with everyone who contacts you, and don’t be afraid to turn someone away. Use your contact page wisely. Your contact page should reflect your commitment to high value by explaining that you may be able to work with the person who is about to fill out the contact form. If you can only take a few new clients each month to preserve quality, state this on the contact page. Be ready and willing to lose a client. If a client questions every penny, fights every field on the invoice or doesn’t feel you’re worth the rate you’re charging, don’t be afraid to walk away. These people take more energy and time than they are worth. What do you do when someone says they just can’t afford your rate, and they want you to drop it? First, don’t feel like you are obligated to drop your rate just for them. You can address the issue by letting them know that you realize they appreciate value and are on a budget. Explain that in order to meet their proposed rate, you would have to rush and sacrifice quality. You’re not in the business of sacrificing quality. However, assure them that you can offer something else at a different price point. This shows your willingness to work with them, but clearly shows that you’re staying on your terms. Let’s face it: no matter what you do, you will never avoid haggling over your rates completely. There will always be a person who is bent on finding the best deal and looking to negotiate. Be ready to respond by sticking to your terms and spotlighting your strong commitment to quality. For more information on building value and getting better clients so that you no longer have to deal with hagglers, check out the ebook, Accounting Firm Owners: The 7 Secrets You Know To Increase Profits in 2014. We all do it. Procrastination is part of human nature. Even the very best accountants have days where they delay tackling the work that must inevitably be completed. If you’ve ever felt like procrastination is a chronic illness you can’t shake, then you’re not alone! You can beat the urge to dilly-dally during work hours by using a simple behavior tactic. Before you can start to reverse an attitude prone to delay, you must admit that there is a problem in the first place. It’s like being an addict; you can’t get life changing help—the kind that makes a plausible difference—until you acknowledge and admit to the fact that there’s a problem. Procrastination comes in many forms. For example, do you tend to push certain tasks off until the last minute because you lack motivation or an interest in completing them? Perhaps you push these tasks off to accomplish less productive but more pleasant tasks? If you have a tendency to put projects off and then later rush to get them done, you have a procrastination problem. Procrastination is a habit. It isn’t something we learn overnight. It’s a pattern we fall into over a period of time. Therefore, in order to kill the habit successfully, we must condition new behavior. This is the behavior tactic we are going to cover. Create a to-do or task list. Every night, list everything you need to accomplish the next day. There should be about 6 1hr tasks. 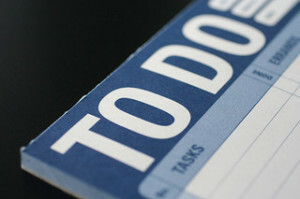 Next prioritize each task and assign a time when each one will get done. The most important should go earlier in the day to avoid running out of time. Also, don’t plan more than 6 hours of work because likely some tasks will run over or you’ll have unplanned interruptions. The key to this is doing it the night before, not the morning of, when you’ll be less likely to commit to the more dreaded tasks. Finish the hard stuff first. Tackle the really big and in-depth tasks first. Get them out of the way before you feel the urge to delay. Do five-minute tasks. When you hit a task that you just don’t want to do – tackle the aspects of the project that take a few minutes before diving into the rest. Your goal is to be productive with each five-minute task while feeling a sense of satisfaction upon completion. Take a break. If you can’t focus and are daydreaming, take a break. Give yourself 10 minutes to breathe, and then force yourself to finish the task. Banish distractions. Banish co-workers who like to chat. Eliminate distractions so that you are not tempted to remove your attention from the task at hand. For more information on becoming more efficient, check out our ebook, Accounting Firm Owners: The 7 Secrets You Know To Increase Profits in 2014. Every accountant experiences procrastination. By developing behavioral habits that promote productivity, you can focus your time and energy while lessening the temptation to put tasks off. Small businesses that are operating as “flow-through entities” are becoming increasingly common. We see a lot of compensation issues arising from these types of businesses. When such a company comes to you for accounting services, what best practices can you keep in mind? Use the fair market value. In other words, charge what the service is worth based on the current market value of the service being provided to the small business. Always put it in writing. A written agreement should always be in place. It should clearly document the services to be provided. Consult an objective opinion. It’s dangerous to enter into an agreement drafted solely by the service provider and receiver. Include a non-interested third party when establishing the criteria of the agreement and the service value. Document payment. The business should make payments based on the terms and conditions of the agreement. If an adjustment is made when accepting, delaying, or changing a payment, document the reasons and why or how compensation was changed. Avoid discounting qualifications. Compensation should always reflect actual qualifications. In other words, someone with many years of industry experience should receive higher compensation than someone who has just entered the job market. Properly assessing business conditions. Compensation should match the owner’s or employee’s worked hours, duties, responsibility scope, expectations, and the complexity of the business and conditions. All of this should be established at the time the agreement is reached. Measure compensation over time. As time passes and the business grows, compensation should be tracked, measured, and evaluated. How much has it increased as the company has grown larger, accomplished its goals, and increased profits? If it hasn’t, this might alert the IRS to a compensation issue. Compare against other metrics. It’s a good idea to compare owner/employee compensation to other metrics within the company, such as gross and net income, shareholder distributions and non-owner employee compensation. Compare against other businesses in the industry. You can consult annual studies on your own, or hire an expert to assist. The idea is to gauge company profits versus compensation. 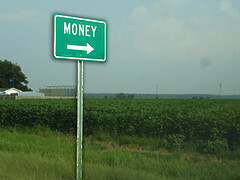 For example, if profits are high and compensation low, you may have an issue that will raise a red flag at the IRS. Explaining reasonable compensation to small business owners can prove to be a challenge. However, if you stand by these eight best practices, you will be promoting a service that safeguards the small business by avoiding an IRS issue with reasonable compensation. For more practice managements tips, check out the book Accounting Firm Owners: The 7 Secrets You Know To Increase Profits in 2014. One of the most difficult aspects of business for any professional is getting paid what they’re worth. All too often, we see clients and potential customers who expect to get something for nothing, especially when it comes to the services we offer. Don’t lower your price simply because a person won’t pay it. If your price is reasonable and matches industry value, then you’ve either run across a person who wants something for nothing or they don’t understand the value of your service. Don’t charge less than your competitors just to attract customers. Your competitors charge less than you. So what? Do they offer the exact same service as you with just as much value and benefit? Don’t think you can’t charge more. If you feel you’re being undersold, it’s time to take a good hard look at what you’re selling and for how much. Become hard to replace. By niching down your practice and creating a specialized service, you will be an integral part of your customers business. They won’t easily be able to replace you a new firm that’s going to charge half the price. For step-by-step instructions on how to do this, check out our ebook, Accounting Firm Owners: The 7 Secrets You Know To Increase Profits in 2014. Display your worth. If a potential customer says, “I won’t pay that price,” then it’s time to show them exactly what they’re getting for that price. Show them the benefits and value of the investment, and be clear about why you’re different from the competition. Compare yourself to the competition. If a person says, “But so-and-so charges less,” it’s time to give them a quick comparison. Show them why the competition is cheap, and be sure to follow up by displaying your worth. Charge what you’re worth and be confident. The biggest mistake you can make is underselling yourself because it’s hard to up your prices once you’ve set them too low. Research the market to ensure you’re in the average ballpark, but don’t shy away from charging what you’re worth based on your experience and service. Charging what you’re worth is half the battle of being paid what you’re worth. Many professionals worry that the economic downturn makes it mandatory to lower their prices. In truth, it doesn’t. Avoid catering to the customer who wants something for nothing. Solid and true customers—the ones who will return, display loyalty and refer others—will recognize your worth and value. They won’t buck at paying you what you’re worth, as long as you ensure the rate is reasonable and your delivered work meets (even exceeds) expectations. Fundamentals are base or core rules or principles. They are of central importance, especially in the accounting industry, because without them you risk losing focus and making mistakes that could hurt your firm. Goals are important. They motivate. They give us something to strive for, and they keep our focus sharp. What distractions will I need to squash? What will I need to do in order for work to be complete by the end of this week so that I feel like I’ve been successful? Planning is vital. If you don’t have a plan, then you will lack focus. As a result, if something crazy happens (and let’s face it: this usually happens), you’ll quickly go off the rails and find yourself lacking productivity and success. When are you going to schedule the challenging, high-concentration work? When are you going to tackle the menial administrative tasks that take limited brainpower? How will you gauge your progress? Gauging your progress is important. You need milestones or markers that are either time, day, or percent based. As you check these markers off, you’ll see your progress and be able to adjust to any unforeseen hiccups as they arise. Anticipating is all about predicting the future. It’s like the weather forecast. While it isn’t always spot on, it’s accurate enough to prepare you for when to carry an umbrella or watch for treacherous conditions. Unforeseen hiccups tend to crop up when you execute your plan. They can derail you if you aren’t at least somewhat prepared. Think ahead. Consider the possibilities and plan for the future so that you can stay ahead. Since I planned for this, what has changed? What is bogging me down or moving faster than I anticipated? What wildcards are liable to pop up? Once you’ve answered these questions, think about how to adapt. While a certain amount of anticipating will factor into the planning stage (Fundamental No. 2), you’ll need to actively anticipate as your putting your plan into action. These three fundamentals are the basics. They are designed to keep you at peak performance, ensuring your focus is sharp and your energies are used wisely. By sticking to the fundamentals of accounting, you will separate yourself from others. Not only will you stop yourself from becoming the unwanted procrastinator, but you’ll also be (and stay) the professional your clients will love! For more detailed information on practice management success, check out the book: Accounting Firm Owners: The 7 Secrets You Know To Increase Profits in 2014.